In pre-RERA era, there was no single real estate regulator in the country due to which many builders took homebuyers for granted while indulging in rampant unfair trade practices such as huge delay in transfer of possession to the buyer, arbitrarily changing layout plans or cancelling allotment when the price of the home increased in future. The homebuyers had no dedicated forum to quickly resolve their grievances in a time bound manner. In this light RERA comes as a new ray hope for the home buyers by ensuring speedy disposal of any dispute together with timely delivery of projects. It imposes huge penalty on promoters for not fulfilling promises with respect to the project together with providing the developers some rights against the allottee in case the allottees do not pay their dues on time. Due to the transparency provided by the RERA, the homebuyers confidence has now slowly starting growing in the real estate sector. On May 1, 2018 RERA completed 1 year from coming in force. Maharashtra with 16,125 projects is the state with the highest number of registered projects. MahaRERA has registered over 14000 agents under the Act. Noticeably Maharashtra is the only state to set up a Conciliation Forum as an alternative platform for home buyers and developers to resolve disputes outside the Court. CIDCO has seen a 20% reduction in cost of land. Hopes are that costs will come down over a period of time. 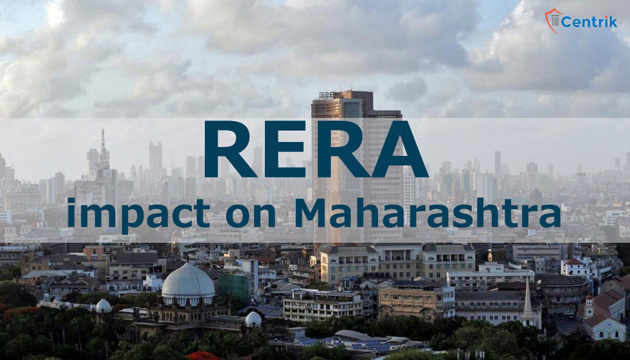 Maharashtra RERA website can be accessed at https://maharera.mahaonline.gov.in/ to get information regarding all real estate projects for which registration has been given. On the state RERA website, information regarding all RERA registered projects as well as registered real estate agents for handling those projects can be found. MahaRERA is in the process of mapping all the registered projects by using the GIS (Geographical Information System) technology. With mandatory registration of every new and ongoing project with the regulatory body, the system will help the prospective buyers to view any concerned project and can access to the details of the project as well as social amenities present. Many online portals have come up for filing of complaints, registration of projects etc., together with government in the process of forming an Appellate Tribunal to hear appeals will go a long way in providing relief to homebuyers. For the time being, MahaRERA has decided not to entertain any complaint filed by the homebuyers regarding the incomplete work or quality of work who have taken the possession of the home without occupancy certificates, as under the Act, such complaints can only be filed if the builder has attained Occupancy Certificate for the project. In view of the alternate judicial forum with time bound disposal of complaints together with mandatory disclosure norms and periodic update of the project status, post RERA situation of the real estate sector has been vastly improved from the earlier unregulated era. Many non-serious and marginal developers have exited the real estate sector due to the stringent rules laid down by RERA and the sector has seen increased investor confidence which ultimately boost the entire real estate sector as well as the economy.